Earn net 8% returns per year for a duration of 5 years with this Deluxe Room Hotel Investment, tax free and maintenance free! A wonderful hotel room investment. 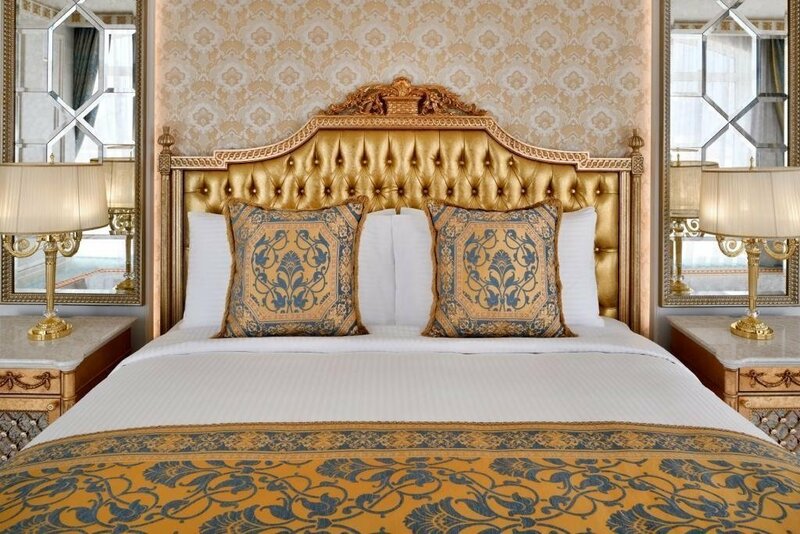 This hotel room is managed by the esteemed 5-star Emerald Palace Kempinski Hotel. 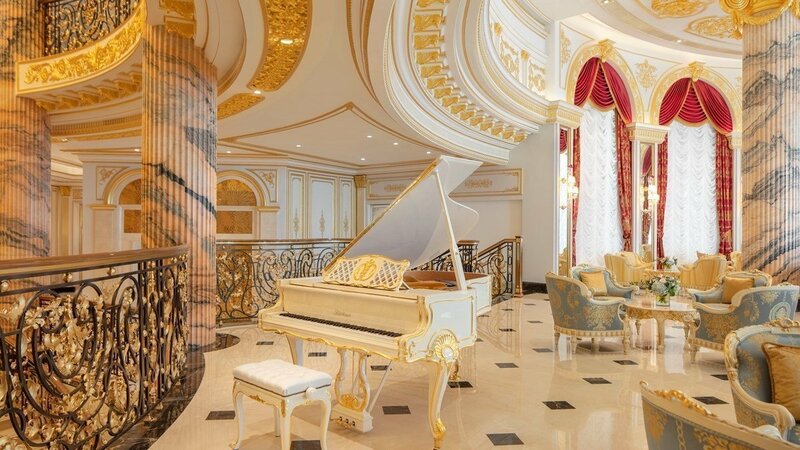 This stunning property is 712 square feet in size, offering panoramic views of the Arabian Gulf. The Deluxe Room pleasantly blend style and sophistication. Designed to cater to leisure and business travelers alike. The scenic views complement the luxurious interiors, which feature contemporary comforts such as a flat screen television, state-of-the-art multimedia systems, a mini bar and more. 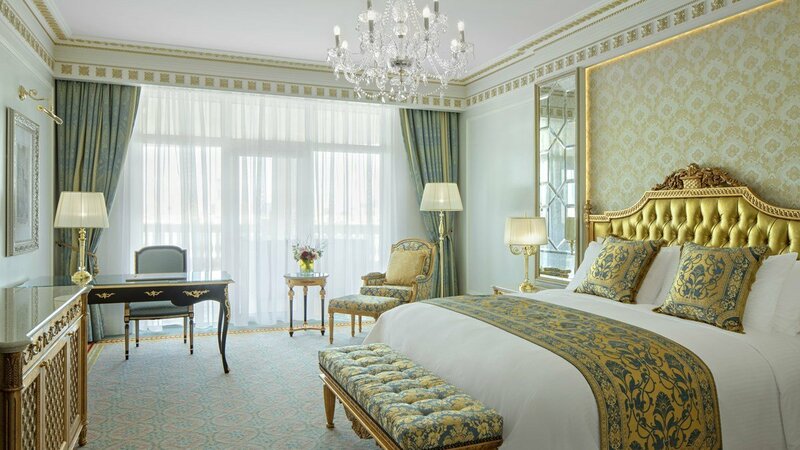 The Emerald Palace Kempinski Hotel’s luxurious rooms are furnished with bespoke, handcrafted pieces courtesy of traditional Italian furniture craftsman Francesco Molon. Francesco Molon’s interior architects have closely cooperated with the interior design team of Leo International to conceive one of the most impressive interior themes in a luxury hotel. 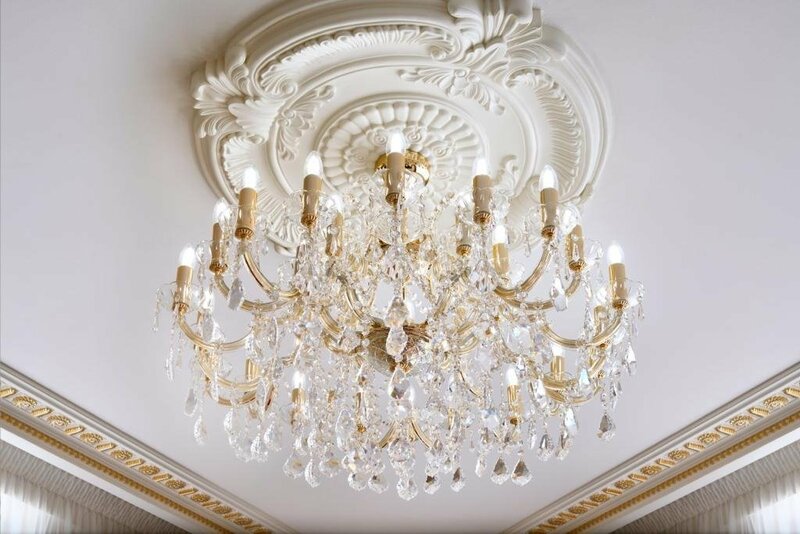 All pieces are hand crafted in Italy and pay homage to the grand tradition of bespoke classical furniture. 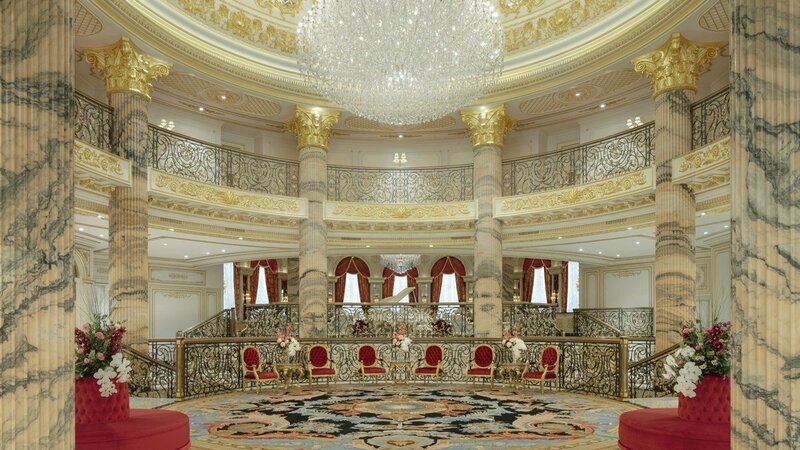 Curtains, draperies, crystal chandeliers, carpets and polished marble are carefully hand selected to create an atmosphere of elegance and affluence. 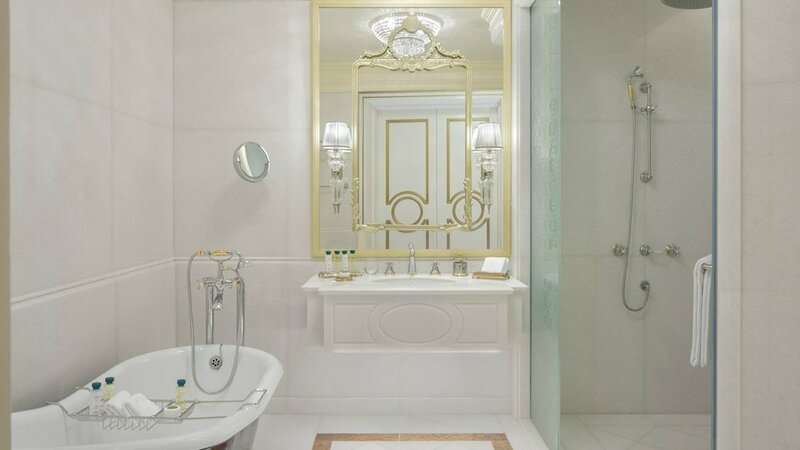 Lavish draperies, linen and crystal tableware complement the living spaces and reputed fittings brands, such as Villeroy & Boch and Grohe, add the finishing touches to the bathrooms. 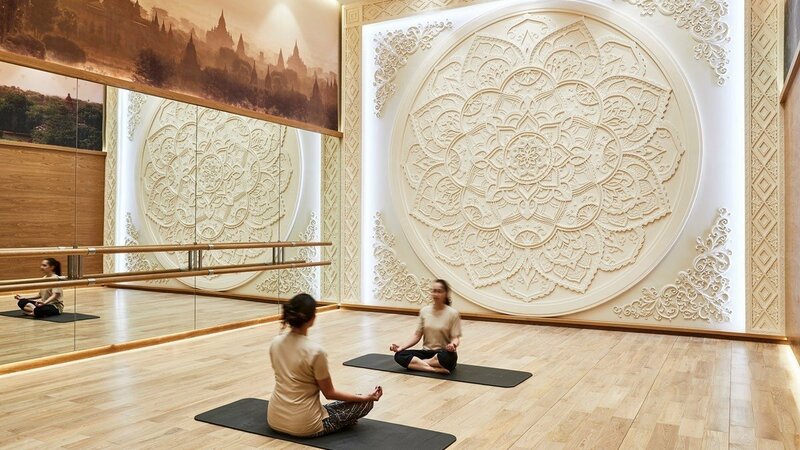 Awarded the title ‘Leading Spa of the World’ by Condé Nast Traveller for two consecutive years, Cinq Mondes is The Emerald Palace Kempinski Dubai Hotel’s chosen spa partner. After spending several years travelling the globe exploring the ancient beauty and wellness traditions of the world, Jean-Louis Poiroux provided a selection of the best treatments, massages and cosmetic products for the most prestigious International Spas across Geneva, Monaco, Lausanne, Brussels, Mauritius, Seychelles and Morocco and many other locations. 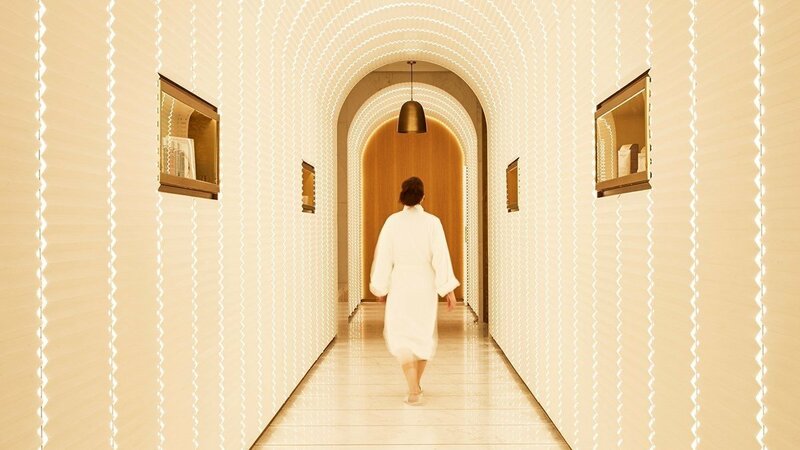 Since the opening of its first Spa in the heart of Paris, Cinq Mondes has been praised as the French pioneer and expert in professional spa treatments and skincare. 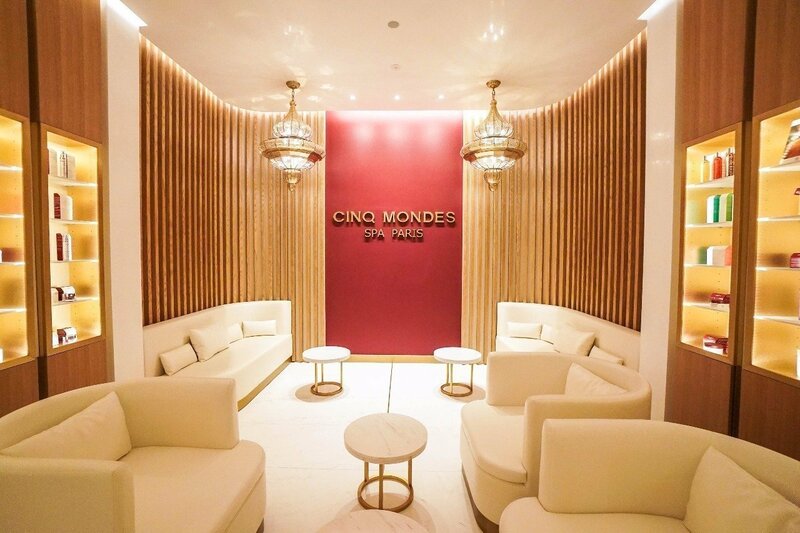 Cinq Mondes cosmetic products are specifically developed for Cinq Mondes professional treatments by their Parisian laboratory. 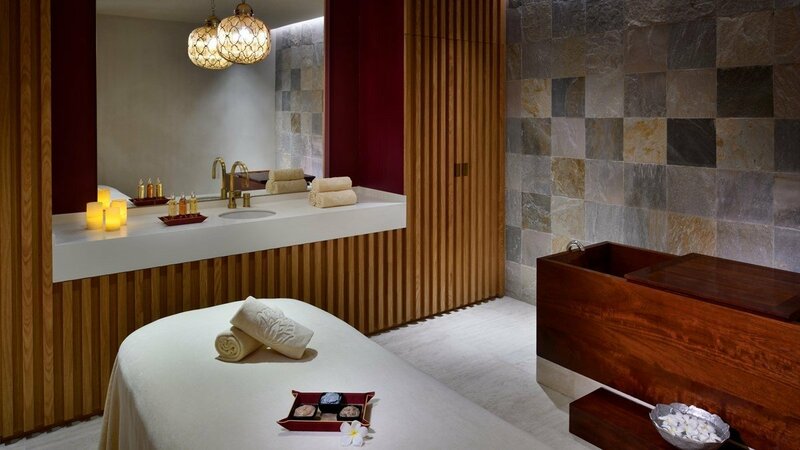 Cinq Mondes Spas bring together the best treatments, massages and traditional formulas, marked by quality, authenticity and ceremony. 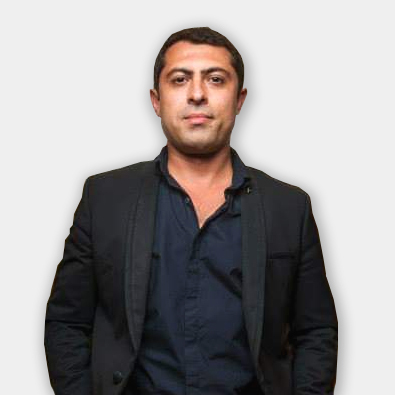 HOTEL OPERATOR – KEMPINSKI HOTELS S.A. 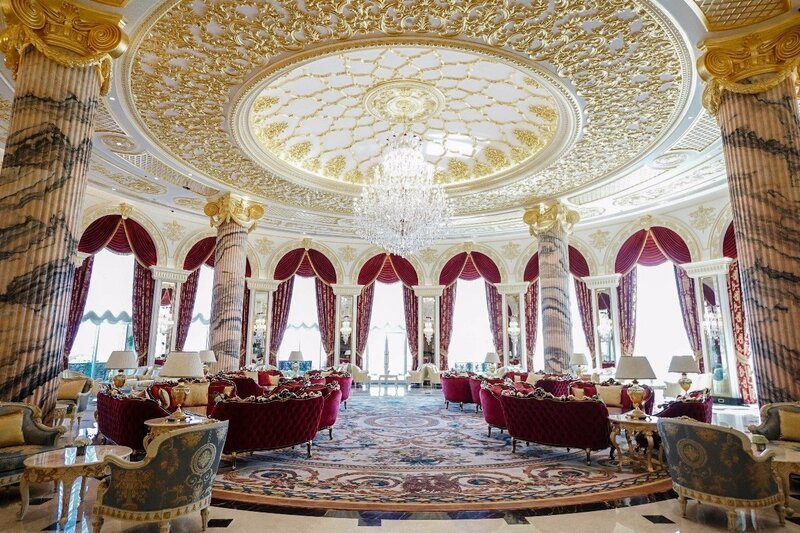 The Emerald Palace Kempinski Hotel is managed and operated by Kempinski Hotels S.A., one of Europe’s oldest luxury hoteliers, operating since 1897. 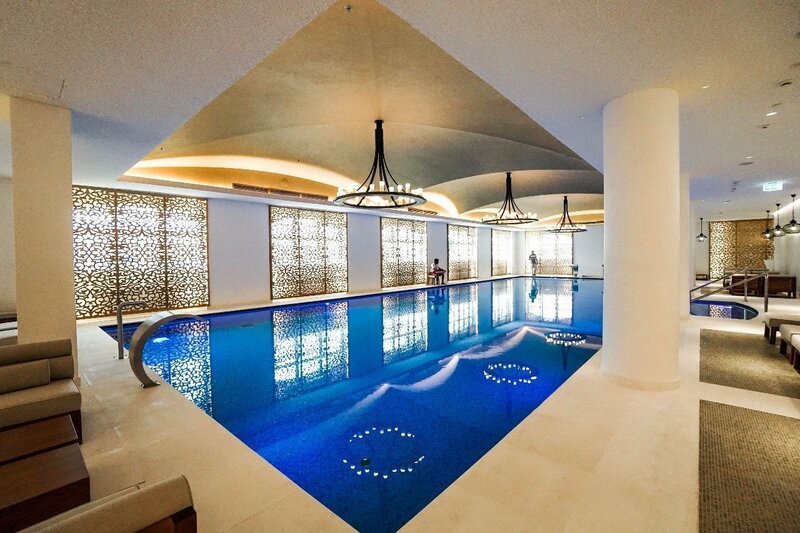 Kempinski represents a new standard of European hospitality that adds to the property and brand value of its hotels. Currently, Kempinski operates about 100 5-star deluxe hotels around the world, which are considered amongst the world’s finest properties. 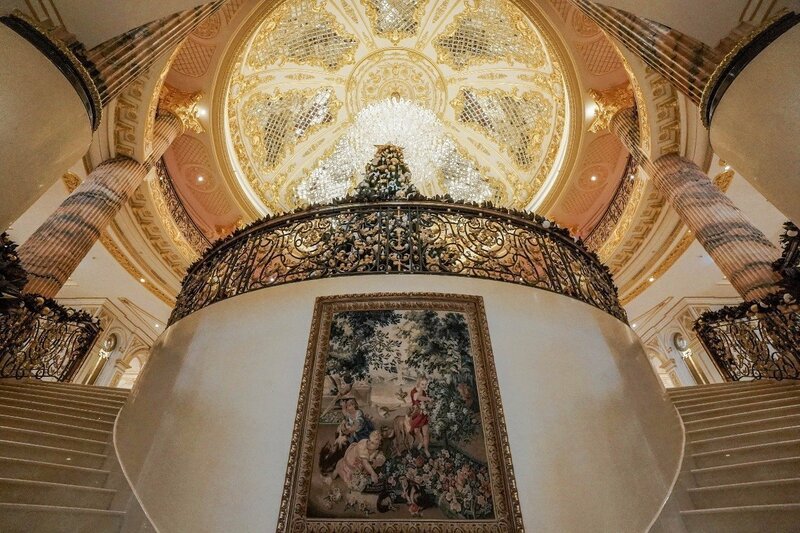 The company is due to add further outstanding properties to their portfolio throughout Europe, the Middle East, Africa and Asia in the next 18 months. 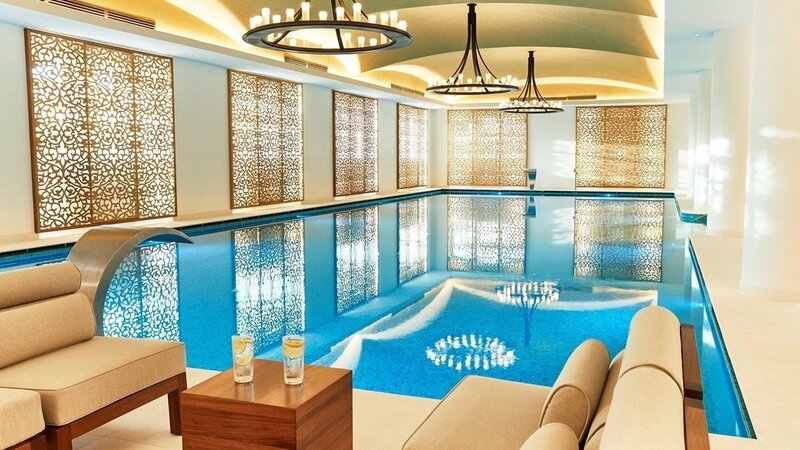 Kempinski’s portfolio includes famous hotels, such as Emirates Palace Hotel in Abu Dhabi, Hotel Adlon in Berlin, Taschenberg Palais in Dresden, Hotel Baltschug in Moscow, Ciragan Palace Hotel in Istanbul and others. 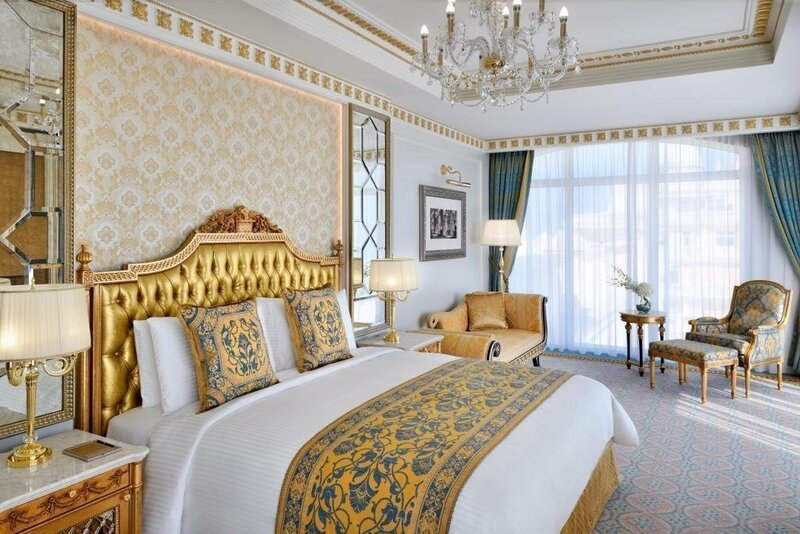 The hotel room investment programme in the Emerald Palace Kempinski Hotel Palm Jumeirah provides a unique opportunity for a secure investment, generating 8% guaranteed returns, ensuring sustainable income with tremendous growth potential. Purchase this Deluxe Room Hotel Investment on a freehold basis and with a registered title deed. 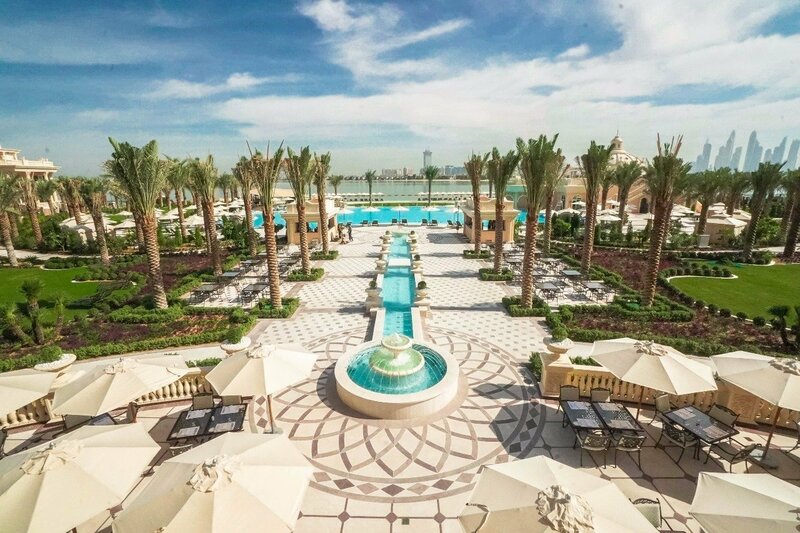 Upon purchase of the Hotel Room, the Buyer leases it to the operating company which will act as an asset management company and the Tenant & Operator of the Emerald Palace Kempinski Hotel Palm Jumeirah. Kempinski S.A. Hotels will manage the Tenant & Operator under the existing long-term Hotel Management Agreement. The Tenant & Operator will also take on lease all other facilities and amenities of the hotel, such as F&B outlets, Spa, health club, beach club, children’s club and all installations, required to provide a consolidated property for operational purposes. 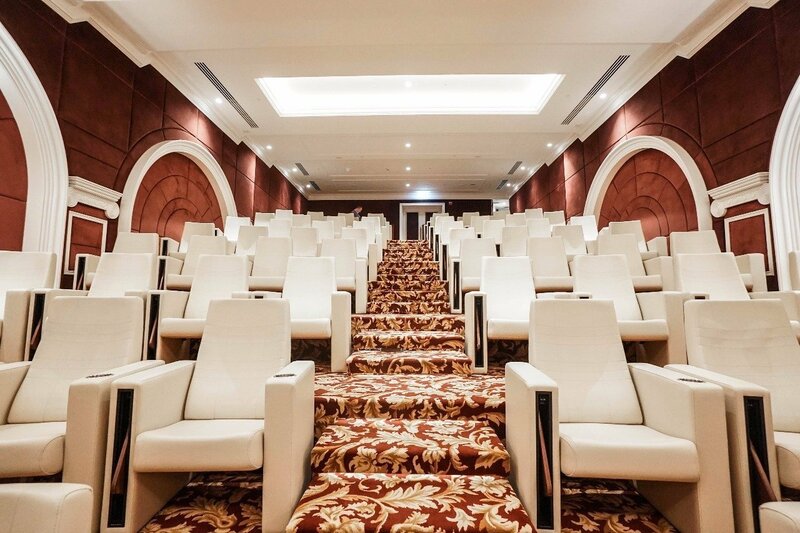 The Tenant & Operator operates the hotel as a whole and is licensed by Dubai’s Department of Tourism and Commerce Marketing (DTCM) and all other relevant authorities. For the first 5 years you will receive net 8% per year for a duration of 5 years. Tax Free! You will bear no costs of maintenance, repair, service or operation of his Hotel Room. Starting from the 6th year, 40% of the total net income, generated by all Hotel Rooms is pooled and each Buyer is entitled to a proportionate share, corresponding to the area ratio of his Hotel Room to the total square footage of all Hotel Rooms. Moreover, you shall bear no costs of maintenance, repair, service or operation of his Hotel Room. The Tenant & Operator will pay the Rent directly to the Seller’s account, along with quarterly management accounts. The annual audit will be prepared by one of the Big Four audit companies. 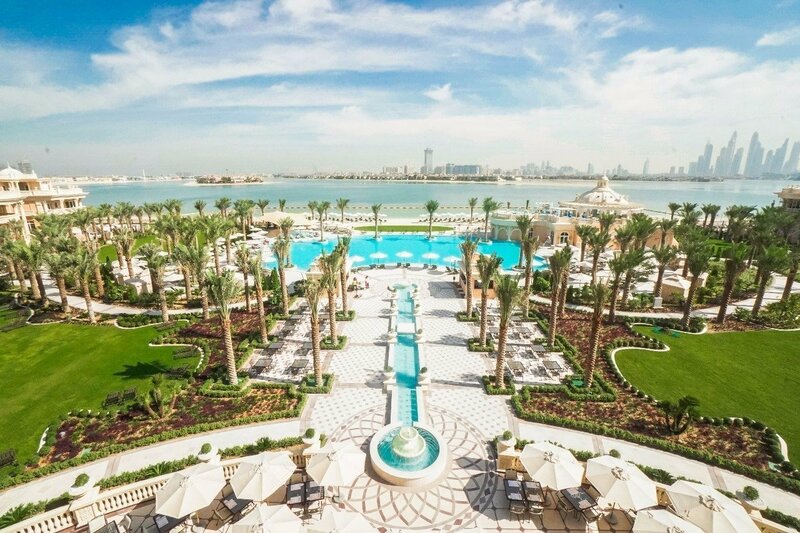 The Owners of Hotel Rooms in the Emerald Palace Kempinski Hotel Palm Jumeirah will be entitled to spend 14 free nights a year in their Hotel Room and will enjoy benefits as an Emerald Palace Club Member. DubaiPalmIsland.net is the real estate and rental marketplace dedicated to empowering consumers with data, inspiration and knowledge around The Palm Jumeirah, the place they call home, and connecting them with the best local professionals who can help.